Slideshow: Thinking about getting into racing? These two disciplines are common practice, so which is better? As a former professional driving coach for a major sports car manufacturer my role was to help customers improve every day at a closed proving ground. This is a position that requires trust, talent and years of commitment to the craft of driving. My background is predominantly based in autocross, karting and endurance racing where I have shared racing cars and data with the likes of Formula 1 engineers, NASCAR drivers, and multi-time SCCA national champions. After 15 years of experience from both sides of the equation—a student and an instructor—these are my thoughts on autocross and track days. In many racing circles, it’s common to find a group of gentlemen who think their style of driving is the best. Surely, if you’re an autocross national champion you should be able to show up to NASA PTE and lay waste to the competition, right? And, if you’re a multi-time wheel to wheel racer then SCCA autocross must be a children’s sport—these guys don’t even hit triple digits…right? Well actually, there’s a lot of overlap and benefits to both. In part 1 of 3, we’ll explore one of the common debates among enthusiasts: autocross or track days. 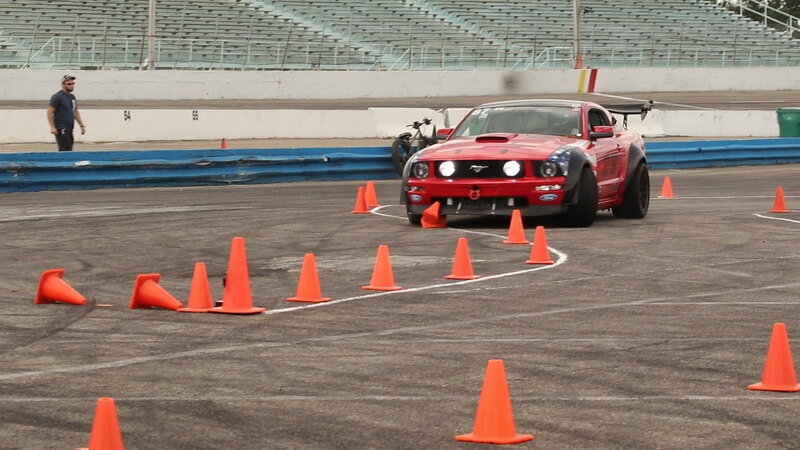 >>Join the conversation about autocross vs track days right here in TheMustangSource.com. 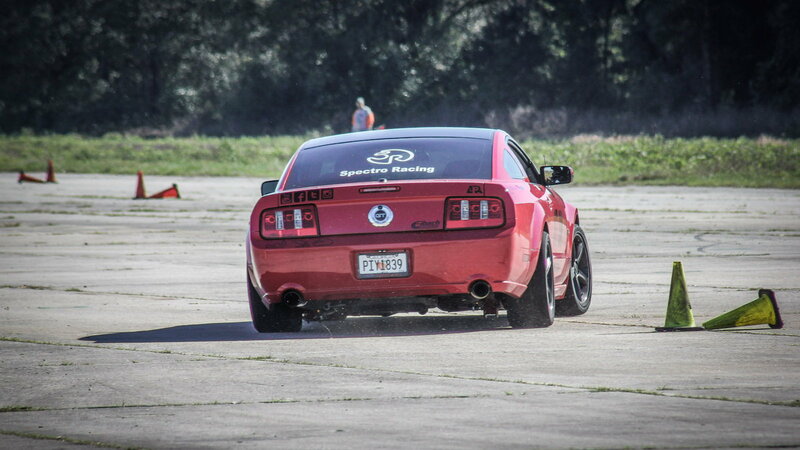 Autocrossing is a time trial sport meaning you do not race wheel to wheel with other people. Courses are set up in parking lots with cones and there is about zero danger in competing here. 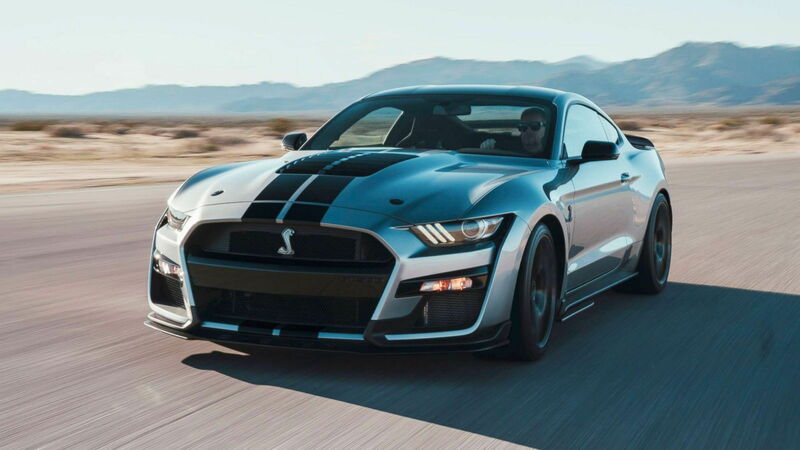 Speeds are typically low with fast cars placing a high emphasis on tire choice, mechanical grip and suspension setup as opposed to outright power and aerodynamics. 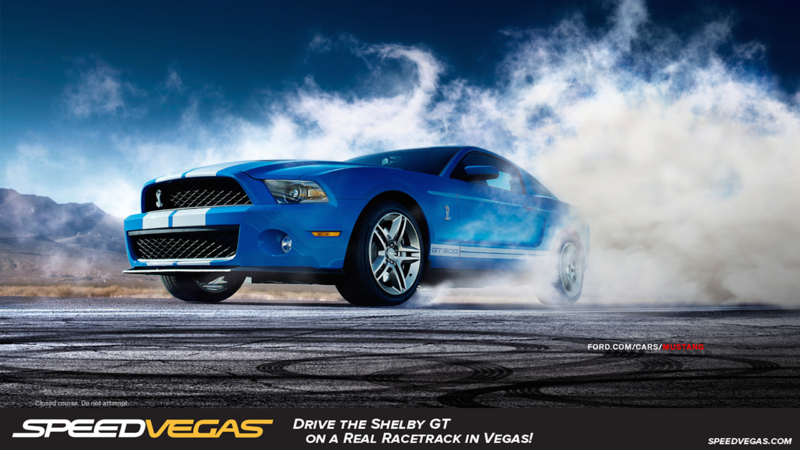 Cars encounter many tight transitions that aren’t as common to see on purpose-built race tracks, and as such drivers who excel here are those that can control weight transfer and slip angle without over driving. Autocross makes you tidy and clean in the technical sections with very little emphasis on high speed. PRO TIP: Master autocross and you will have a solid understanding of basic vehicle dynamics, transitional car control and maintaining moment on corner entry. It will give you a very strong base to draw from, but it isn’t the end all be all of driving fast. I avoid track days like the plague. They’re incredibly difficult to extract anything out of unless you have a clear track ahead and are a nightmare to deal with from a consistency standpoint unless you do. Having said that, if you can get clean runs they are great for building a base of how your car will behave during high speed sustained cornering. Running the same corners over and over isn’t boring—one criticism many make against track days—it’s how you build in professional levels of consistency. Mastering anything takes doing it thousands of times over and over in order to teach yourself how minor changes can make a big difference. Race tracks don’t change and they aren’t held in parking lots. More physical space means trying out different lines that aren’t available to you in the tight confines of a Costco back lot. 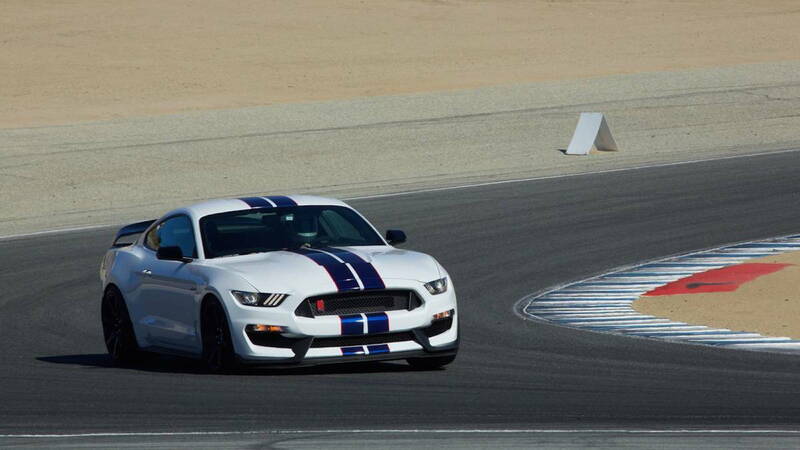 PRO TIP: A great driver will find autocross and track days similar. Autocross requires faster hands and a “point and shoot” technique that you will need to slow down at the race track and vice versa. This is the first thing I typically work on with people who are cross training for the first time. One of the big differences between autocross and track days is the way your brain processes space around you. Auto-x courses are pretty narrow with cones lining the entire course. Hitting any of these cones and knocking them out of their box results in a 2-second penalty. Race tracks—generally speaking—have more runoff room by comparison even though speeds are faster. If you put a wheel off momentarily you aren’t going to be penalized so it can be argued that it doesn’t force you to be as precise with car placement. I would tend to agree with this which makes autocross really great from a training standpoint. Use it to your full advantage and you’ll be even better at the track. 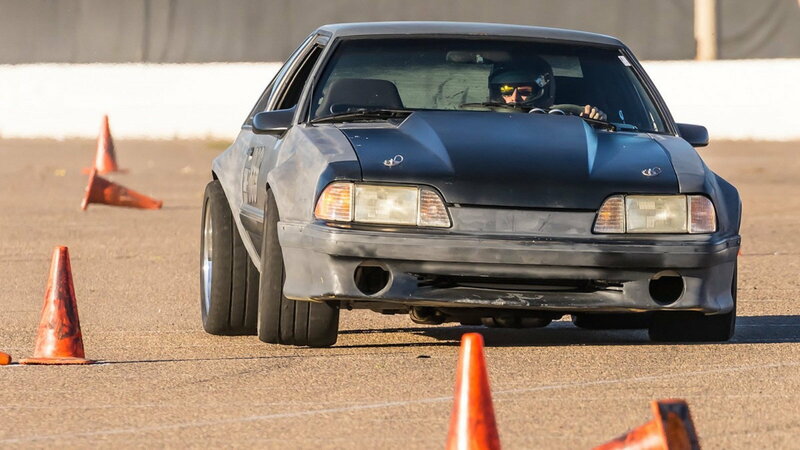 PRO TIP: Autocross will teach you to clip an apex like it’s second nature. Knowing exactly where you are placing your wheels is a weapon when it comes to smoking the competition. Saying that track days don’t teach you precision would be absurd, so we need to address that point briefly. When it comes to weather, a track day can be one of the best teachers there is. Those same rumble strips that give you plenty of runoff in the dry are now video game bosses with one sole purpose in life: spin your car and rob you of lap times. In fact, any type of paint will send you into a flurry of counter steer and throttle modulation if you’re not careful. If you live somewhere where it rains this can be your equivalent of an autocross, but that doesn’t mean you should skip out. PRO TIP: Combining both forms of precision training (if possible) will make you that better as a driver. Any track time you can participate in with poor weather conditions is highly recommended in both disciplines, but you don’t get the wet paint and rumble strip challenge in Auto-x. Sorry Solo racers. Hitting curbs at 100mph can’t even be compared to knocking over plastic cones—no matter how much your ego hurts because everyone saw it. Track days put way more stress on your vehicle from brake pads to tires and you need to consider that into the equation. Unless you’re made of money, in which case I will leave my email below for co-driving opportunities, you need to be realistic about upgrading your cooling system and brake ducting at a minimum. Not the case in autocross where you simply show up, pound out laps and go home with the AC on. I can teach most people 75% of what they need to know on a race track before their car ever goes past 60mph. Unless you really have a fix for the track, consider your options and budget. PRO TIP: Understeer and oversteer can happen at 40mph or 140mph. The lesson you learn is pretty much the same except for the checks you write to your doctor and mechanic afterward. Be smart and don’t overstep the limits of yourself or your car before you’re ready. A lot of guys I have coached want to get as good as they can as fast as possible. No one is getting any younger and there might not be a lot of time they can dedicate to the craft due to work, family or both. The unfortunate news is that driving takes time and there are really no short cuts. What is proven is that if two people of equal ability are placed in equal cars, you would be wise to bet on the one that has more seat time. In that sense, I would say autocross and track days are about the same with the edge going to whatever you have easier access to. Be honest with what you’re looking for and above all: have fun. Thanks for reading. 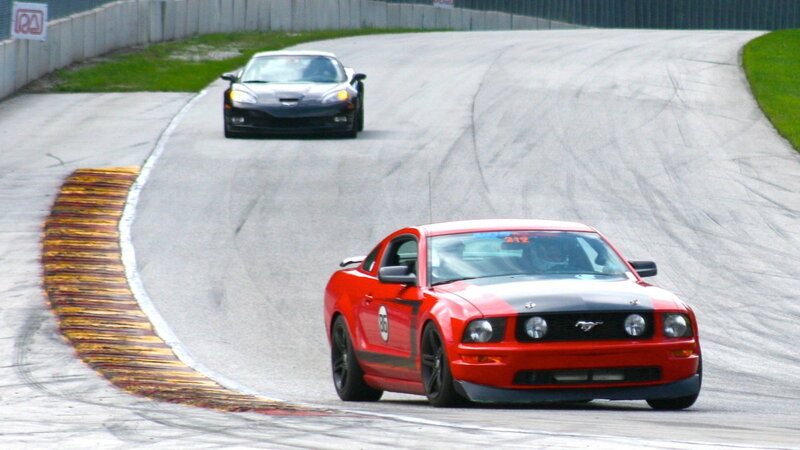 And, for information on maintenance and repairs for your Mustang, head on over to our How-Tos at MustangForums.com!